Mildred "Doodle" Fowler McClellan went to her Heavenly home on June 6, 2018. Born October 28, 1927 to the late Cora Lee Sumeral Fowler and Arizona Utah Fowler in Spartanburg, SC. She was also preceded in death by her beloved husband, Acton McClellan; brothers, Alfred Fowler and Harold Fowler; and sister, Evelyn Harrison. Doodle lived most of her life in Beaumont and was a member of Beaumont Baptist Church for over 70 years. She retired from Draper Corporation in Spartanburg. Doodle loved her life and had a lifelong dedication to her family, both immediate and extended. She carried a love to the end for her beloved husband Acton. Left to cherish wonderful memories are sons, Terry McClellan and his wife Karen of Macon, GA and Steve McClellan and his wife Angela of Hickory, NC; five grandchildren that she adored, Stephen McClellan and wife Heather of Charleston, SC, Jennifer McClellan of Hickory, NC, Allie McCullers and husband Zack of Dublin, GA, Matt McClellan of Cochran, GA, and Madyson Kendrick of Hickory, NC. 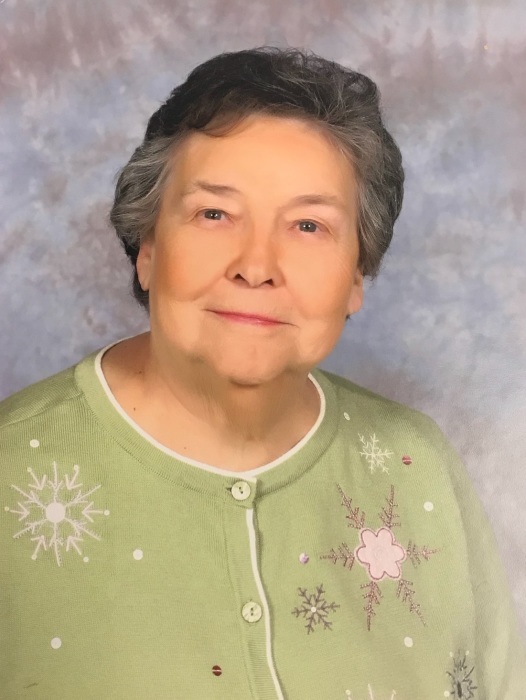 A celebration of her life and gathering of family and friends will be at 11:00am on Saturday, June 9, 2018 at Greenlawn Memorial Gardens; 1300 Fernwood Glendale Rd, Spartanburg, SC 29307. In lieu of flowers, donations may be made to Beaumont Baptist Church at 945 Beaumont Ave, Spartanburg, SC 29303. The McClellan family has entrusted the care of Penland Family Funeral Home at 125 South Avenue, Swannanoa, NC 28778.